Sam McLarnon (1923 – 2013) was born in Larne, Co. Antrim, N. Ireland. He studied art at Larne Technical School where he won several awards including six medals and the Diploma for Illustration. Always his “own man”, Sam decided against teaching art although he was eminently qualified to do so as he wished to be free to concentrate on his own work. His distinctive style remains immediately recognisable and a legion of fans in his native Province of Ulster ensured that every painting he produced was snapped up over his seventy year professional career. Sam painted outdoors every day of his adult life, seeking refuge in his car during showers, and was painting when he fell sustaining injuries that led to his death two days later. 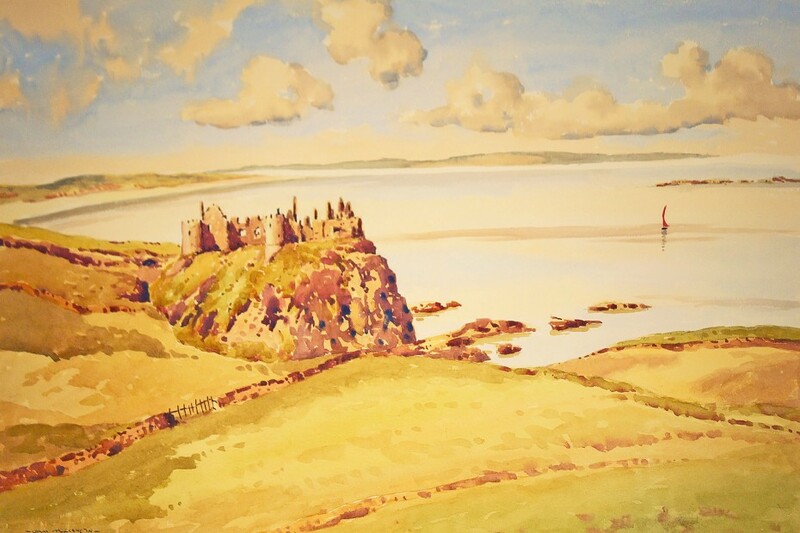 He was a gifted oil painter but it was his watercolours that captivated collectors who delighted in his sympathetic evocations of local scenes from Larne to Donegal. He was a founder member of the Larne Art Club, helped found the Ulster Watercolour Society and had a personality as big as himself.